Alongside actively working on curbing the circulation of fake news, WhatsApp is looking to improve the end user experience by adding new features. WhatsApp recently brought Picture-in-Picture mode for Instagram videos and a 'Swipe to Reply' gesture to its users on Android devices. Now, the Facebook-owned company is reportedly planning to introduce a Vacation Mode, as well as a "Linked Accounts" feature. Additionally, WhatsApp seems to have changed how notifications are handled for muted chats. WhatsApp beta tracker WABetaInfo is reporting that WhatsApp for Android has already included a "Silent Mode" that hides the notification dots for muted chats. This means if you mute a chat on WhatsApp, you won't see how many new messages you've received in that chat directly from the WhatsApp icon on your Android smartphone. Previously, notifications from muted chats also counted towards the count of unread messages. It is said that the new feature is already enabled by default. However, it isn't available in the form of an option in the Settings menu so there's no way to disable the feature manually if you want to go back to the old behaviour. Additionally, WABetaInfo reveals that a "Vacation Mode" is in the pipeline that has apparently been in works for some months. The feature is said make archived chats that have been muted to remain archived when a new message arrives in those chats. At present, WhatsApp automatically unarchives an archived chat once a new message is received in that chat. This behaviour will apparently be controllable via the Notifications settings on WhatsApp for iPhone, Android, and Windows Phone. 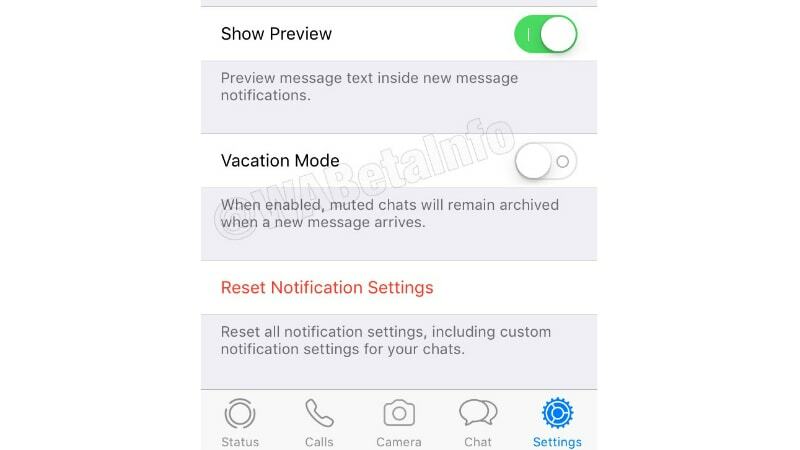 WABetaInfo has evidenced the upcoming feature by showing a screenshot that appears to be taken on a build of WhatsApp for iPhone. 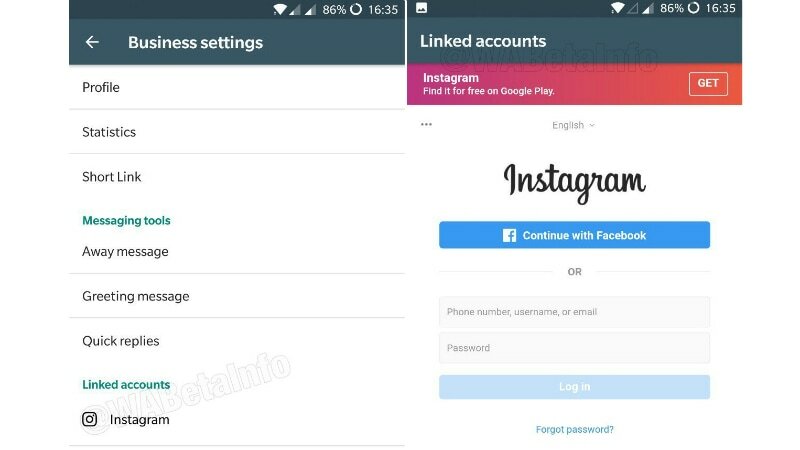 It's possible the Linked Accounts feature will mainly help WhatsApp users recover the password of other Facebook services. Furthermore, it could help the users share their WhatsApp statuses on Instagram. The latter use case might be helpful for enterprises using the WhatsApp Business app.